Hailed in advance the world over as his best work in a decade or more, Ryan Adam’s new album Prisoner is out today on Pax-Am/Blue Note. A UK tour in support of the album has also just been announced. Kicking off in September, the tour sees Adams and his band playing at such iconic venues as the Royal Albert Hall in London. Adams and his band will also perform as headliners at the Green Man festival in the beautiful Brecon Beacons on August 17th alongside PJ Harvey and Future Islands. These full electric Ryan Adams and band shows follow on the revered singer songwriter’s recent stop in London, which included two surprise pop up shows at Soup Kitchen in Manchester and Treadwells Bookshop in London, as well as an in-store performance at Rough Trade East. While those shows were opportunities for handful of lucky superfans to see Ryan unplugged and intimate, the upcoming tour will bring the full electric Ryan Adams and band experience to thousands. 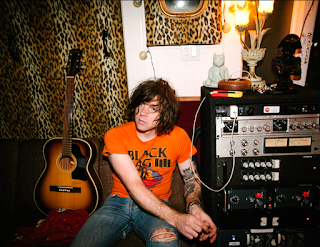 Prisoner is Ryan Adams’ first full-length album of original material since his self –titled, Grammy nominated release in 2014. It is shaping up to be one of his most celebrated to date, as early reviews indicate.